Madama Butterfly is one of the most famous operas by Giacomo Puccini. Set in Japan in 1904, it depicts the tragic love story between B.F. Pinkerton, an officer in the US Navy, and Cio-cio-san (also called Madama Butterfly), a young Japanese girl from Nagasaki. The libretto (written by Giacosa e Illica—one of whom happened to be a lawyer) is quite interesting from a jurist’s perspective as it mentions a number of legal. The pivotal point in the opera is the marriage between the officer and the young Japanese lady. Questions arise about the law applicable to the marriage itself (including the formalities required), that applicable to the matrimonial life and, more importantly, whether Pinkerton was allowed to unilaterally divorce by abandoning the conjugal house, an option in his view permitted by Japanese law (but of course not allowed under the law of the USA). In the opera, the validity of this option is taken for granted, but a legal, technical analysis leads to a different conclusion. This paper investigates in detail the legal aspects of Madama Butterfly, in light of the applicable law in Japan in 1904: in particular, the Civil Code of 1898 (Minpō), the Japanese Code of Private International Law (Hōrei) and the Nationality Law (Kokuseki hō). The story of Pinkerton and Butterfly will be analyzed through the lenses of law to find answers to the following questions: Was their marriage validly performed? Which law regulated their marital life? And most of all: Did the law in 1904 grant the husband the ability to unilaterally divorce through abandonment? In trying to deal with these questions, the paper relies on the original text in Italian (of course providing an English translation for the international readership). This paper was previously published as Colombo, Giorgio Fabio; Suzuki, Masabumi; Yokomizo, Dai, ““That may be Japanese law…but not in my country!”. 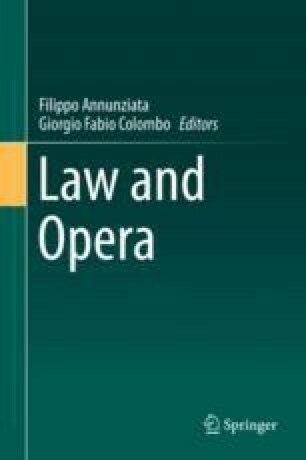 Marriage, Divorce and Private International Law in Giacomo Puccini’s Madama Butterfly”, in Zeitschrift für Japanisches Recht/Journal of Japanese Law, vol. 39, 2015, 73–88. The copyright holder has given its permission to republishing.